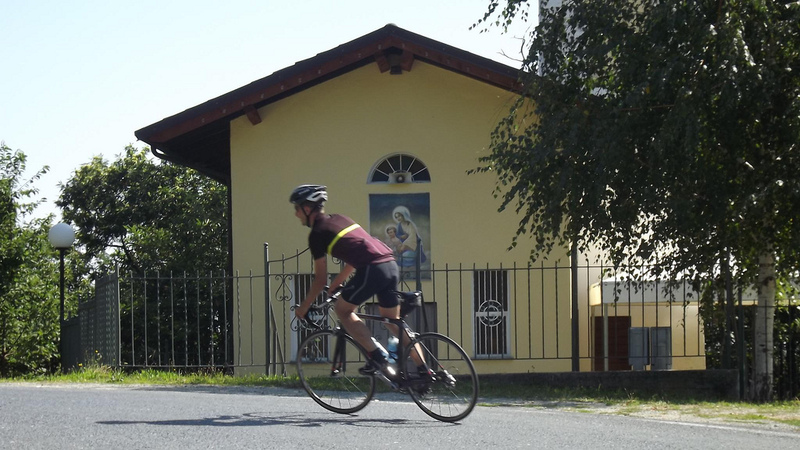 Stage 13 of this year’s TdF travelled south from Saint-Etienne to Chamrousse – a summit finish southeast of Grenoble in the Belledonne mountain range. 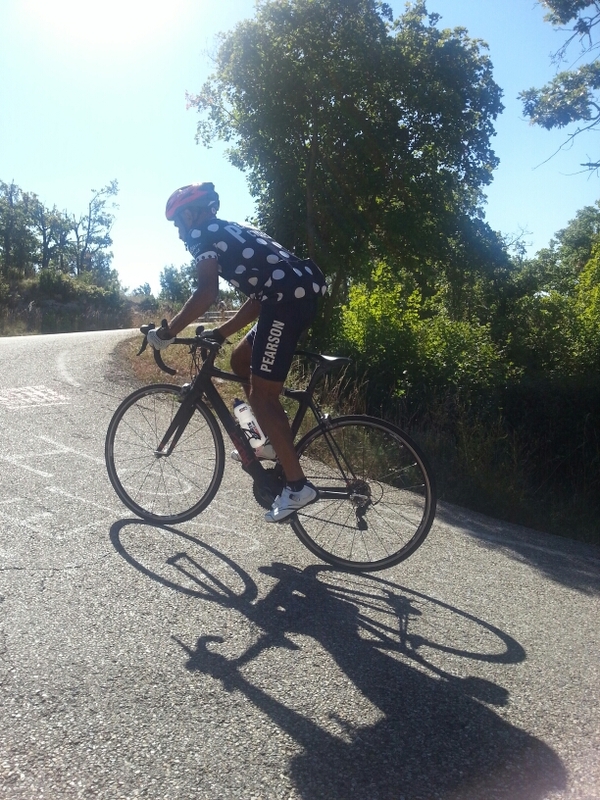 The climb is roughly 21km long and very regular on a wide, well surfaced road. The resort was used for the 1968 winter olympics and many of the Olympic ski runs are still in use during the winter. In contrast to this ascent, there is a more taxing route up. The Col Luitel joins the Romanche Valley with Chamrousse 1750. The road is narrow and poorly paved. You climb over 800m in 8km and the gradient only gets steeper as you climb. 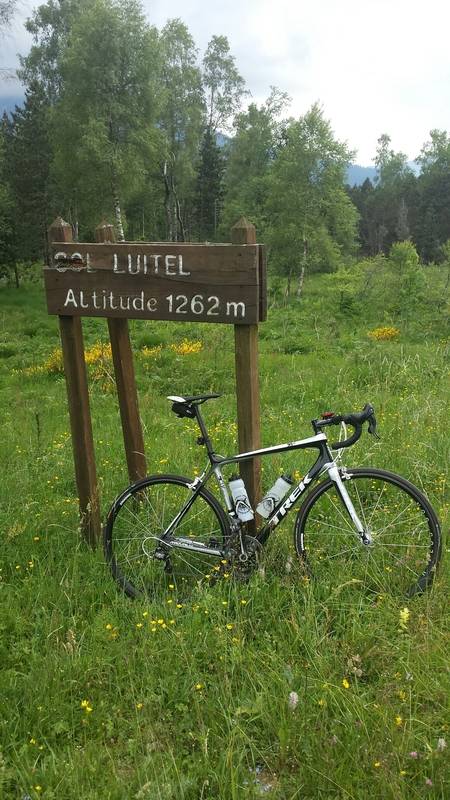 The Luitel brings you out about 6km from the summit of Chamrousse 1750. 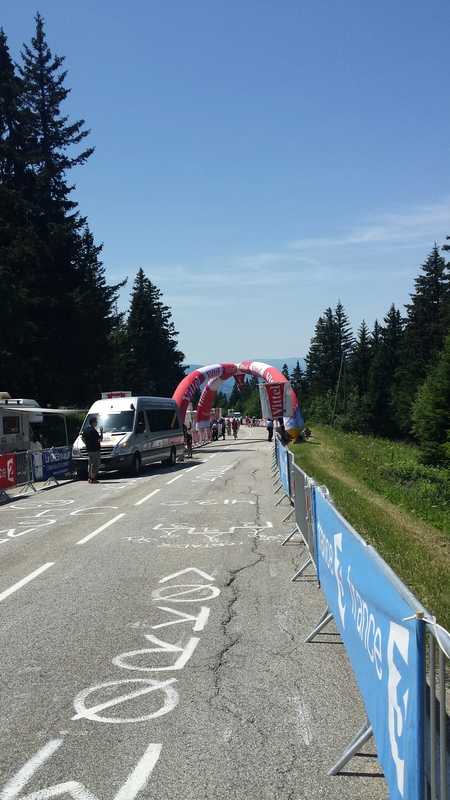 For this year’s Tour de France tour, we took the guests up the Luitel to watch the stage finish. The day was superb with fantastic weather. 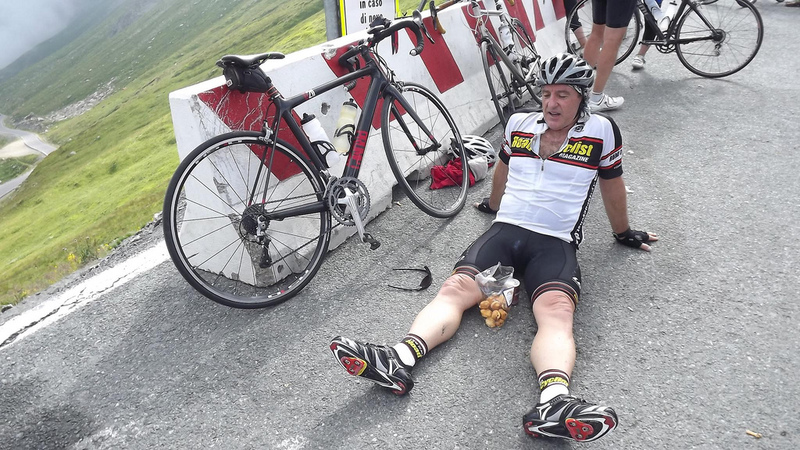 Watching the finish on Chamrousse was much different than AdH the year before. The crowds were less and you were able to ride unhindered almost to the finish. 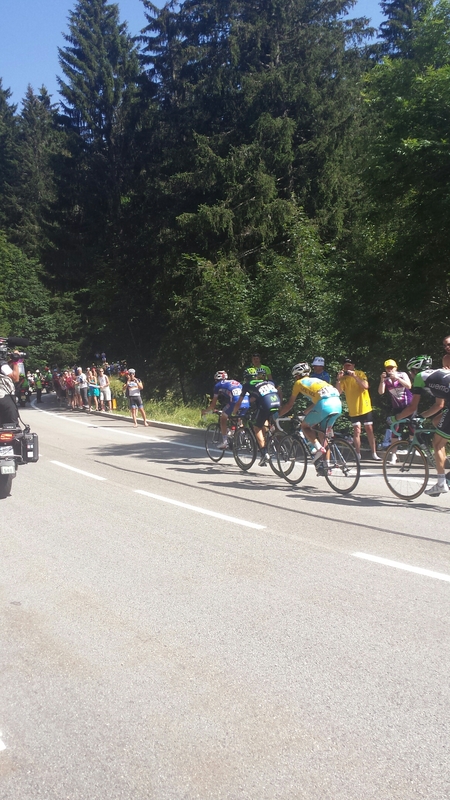 We were stood just before Nibali’s attack. He looked very composed in comparison to the others – riding closed mouthed and seemingly putting nothing through the pedals! 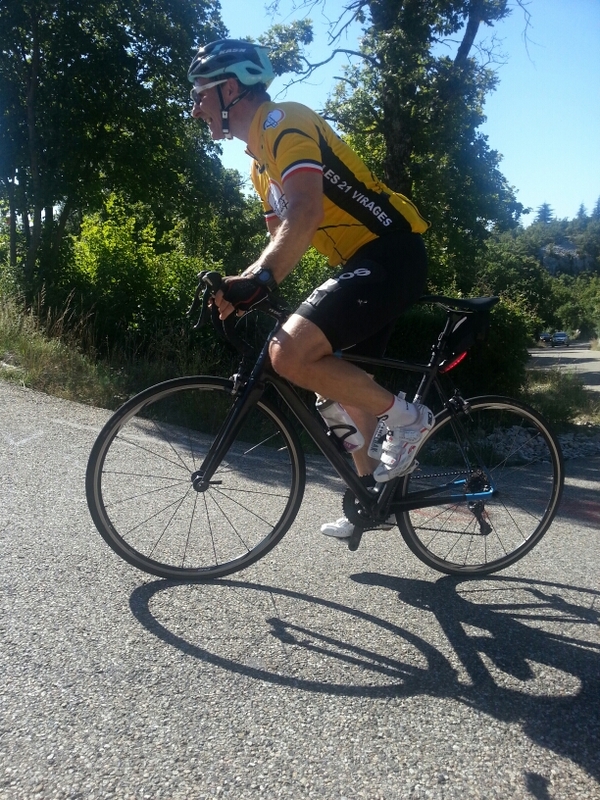 Chamrousse is my favourite climb and without a doubt the best descent in the area. 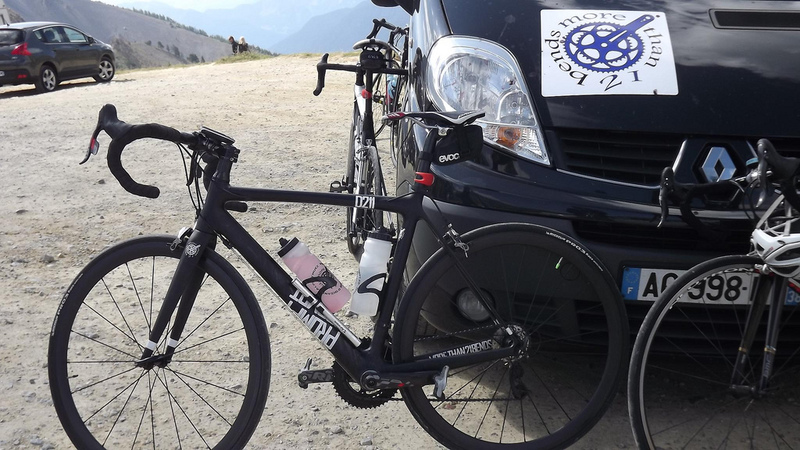 Come ride it with us on the Tour of the Oisans! 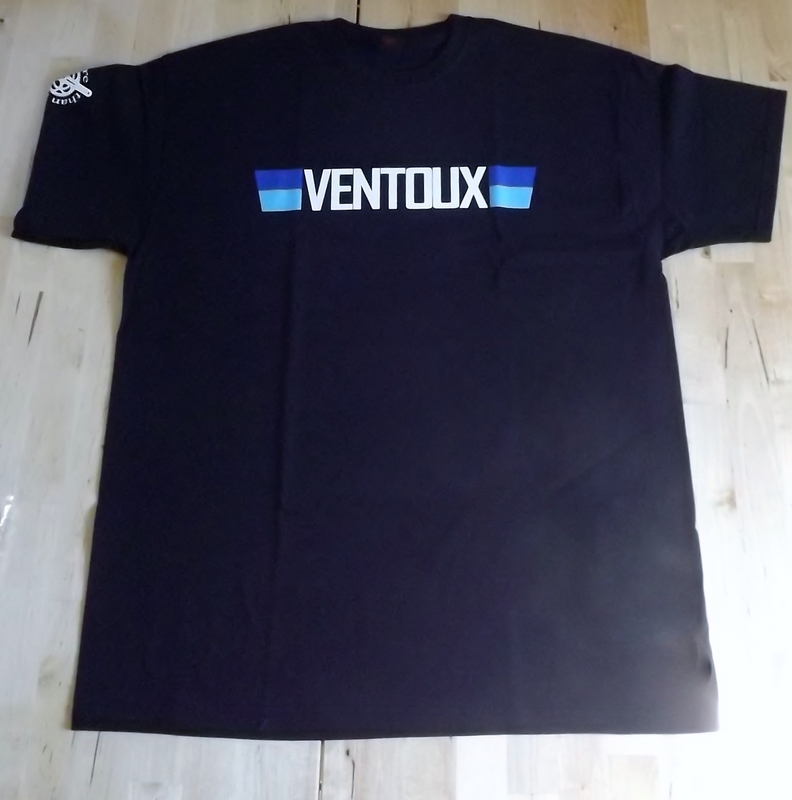 Following the success of the Alpe d’Huez range, we have added a new Ventoux line to the PROMPT collection. 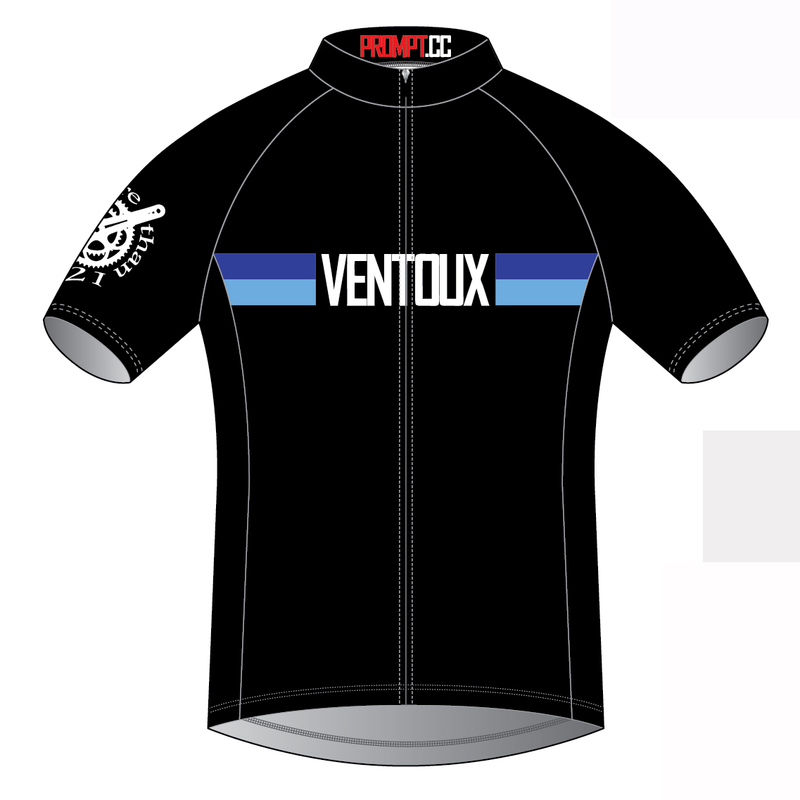 The design is exactly the same as before and maybe purchased as either a jersey or t-shirt. From Chalet Reynard, the gradient eases and the iconic calcified summit of the Ventoux is visible. 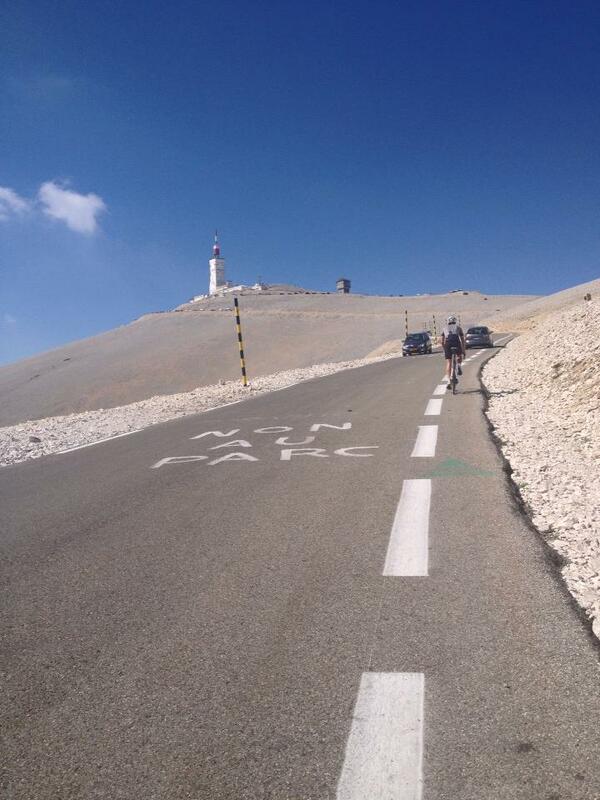 The climb is like no other for most part the famous passes of the Tour de France cut through the mountains. 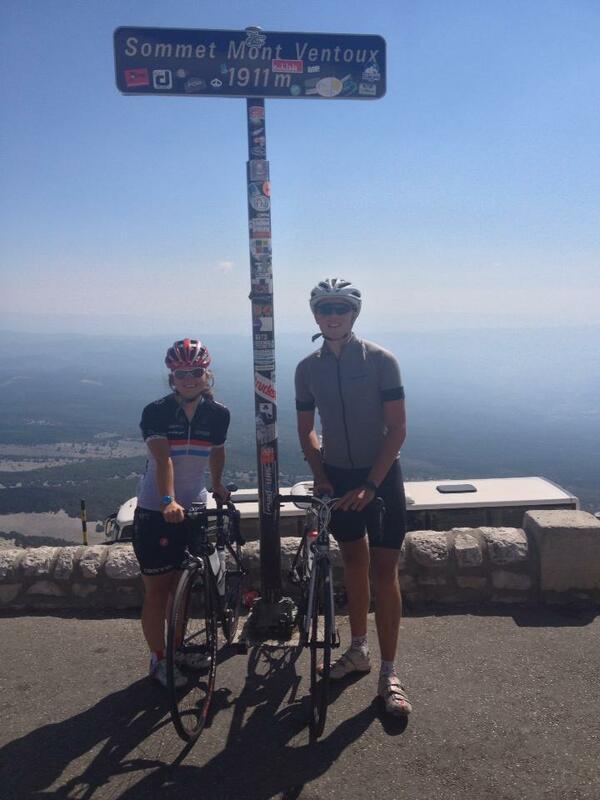 However the Ventoux goes right over the top giving you a spectacular view of Provence. Although the Ventoux dominates the landscape and the cyclo-tourism of the region, there are plenty of other fabulous roads in the area if you are planning to stay for a few days. 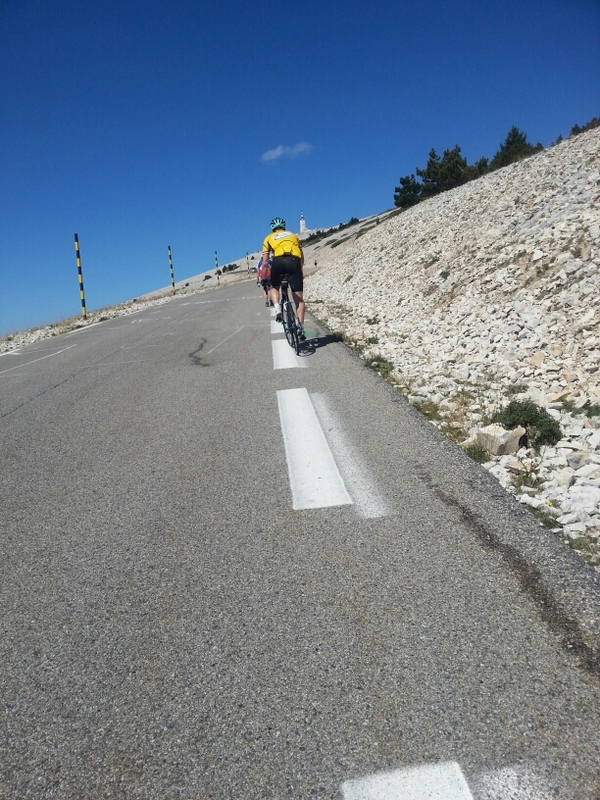 If you haven’t climbed the Ventoux, what about the More Than 21 Bends Alpe d’Huez & Mont Ventoux Tour where you will tackle all the ascents of the Oisans followed by a trip to Provence to scale the Mont Ventoux. 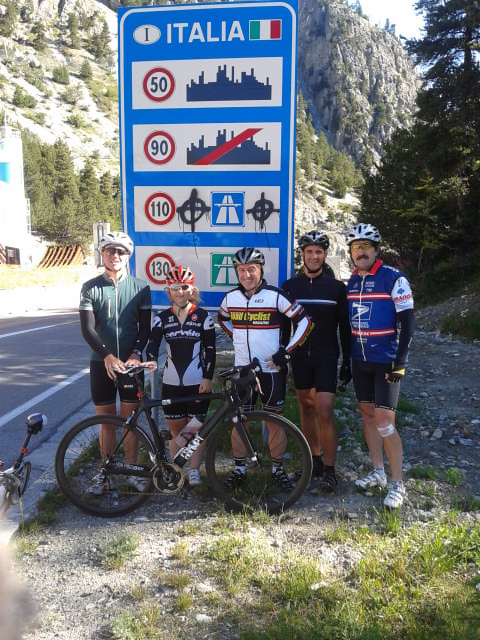 Last week on the Alpe d’Huez to Italy tour, I climbed some new cols. I will blog each one of these cols with some pictures from the tour. The ski resort of Montgenèvre forms the border between France and Italy. 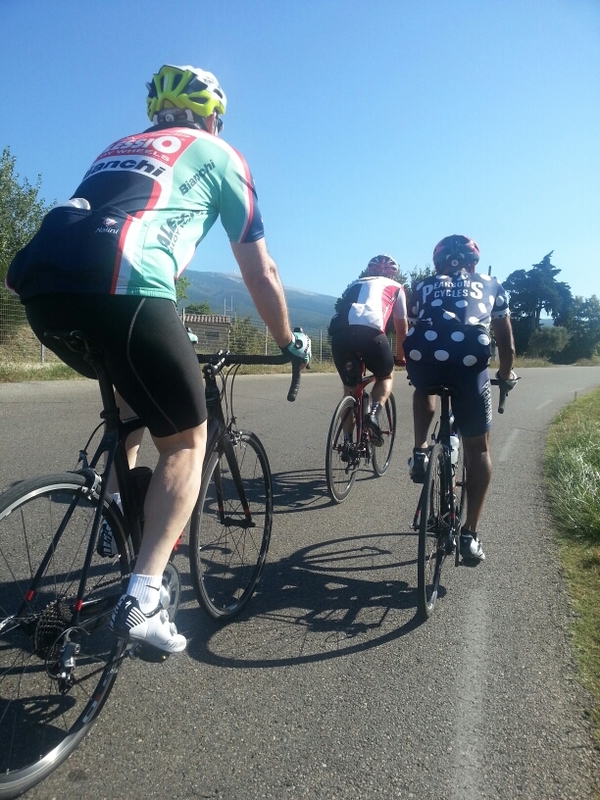 From Briançon the climb is 11km long and averages 4.5%. It is a lovely climb and is never too taxing. 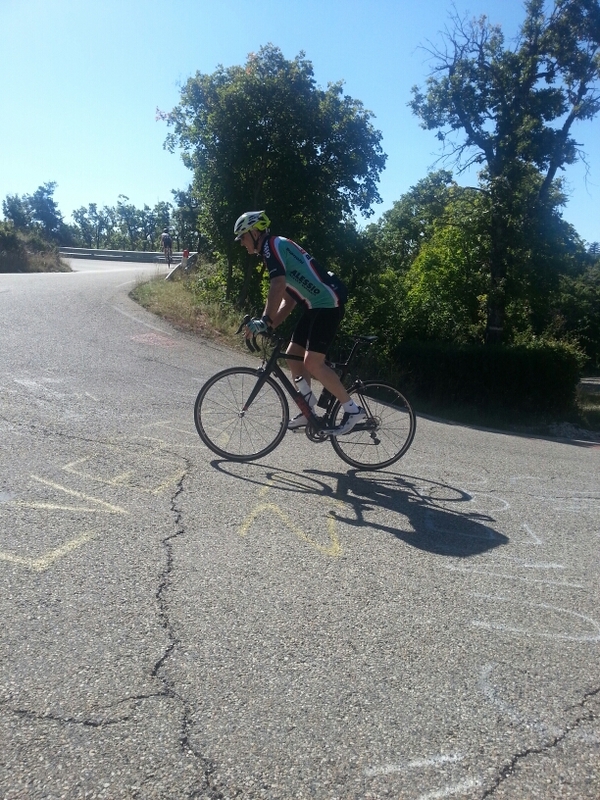 The descent towards the Colle di Sestriere is fast and flowing on a great road surface. However there are some long avalanche tunnels as shown below.